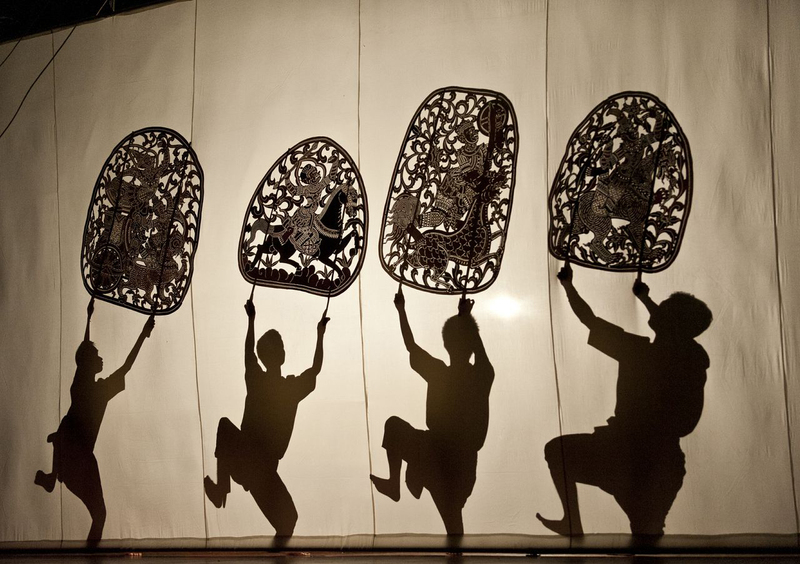 Performers use shadow puppetry to tell stories. Cambodia once had a rich artistic culture, but it was nearly extinguished during the Khmer Rouge of the 1970s. It wasn’t until the 1990s that the restoration of artistic tradition began in earnest. Arn Chorn-Pond searched through the country, seeking out master artists to train a new regime of artists. Now, twenty years later, that vision has been realized. Season of Cambodia is an initiative of Cambodian Living Arts, which was created by Arn Chorn-Pond in 1998 as the Cambodian Master Performers Program. He wanted to restore Cambodia to its status as a leader in Southeast Asian arts—music, dance, theater, and cinema were once well-established traditions there. CLA is more than just a provider of support for artists—it is an enabler. After decades of work, the Season of Cambodia has finally come to New York City. Hundreds of young artists have come to celebrate the rediscovered traditions of the Cambodian culture, and it is a sight to see. The 125 visiting artists are paving the way for future generations to keep the culture alive and well. The festival features music, dance, ritual & theatre, visual art, film, and humanities. It’s a culture that people like Khema Wright, whose family fled Cambodia when she was just a child, haven’t seen for decades. Performances included the Royal Ballet of Cambodia. For many, art has healed the wounds they never thought would go away. In the future, we hope that Season of Cambodia returns again and again to celebrate a culture rich in artistry and tradition. This entry was posted in art, Bronx, Brooklyn, Manhattan, NYC, Queens and tagged Arn Chorn-Pond, art, artistic, Cambodia, Cambodian Living Arts, Chhaya Chhoum, culture, Khema Wright, Khmer Rouge, Mekong, Royal Ballet of Cambodia, Season of Cambodia, tradition. Bookmark the permalink.